replaced and Spencer's first basket (he was too young last year). We picked up and installed this little shelf so Daddy could display these Zombies. 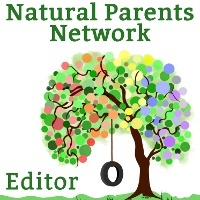 Wordless Wednesday: Hugs on Natural Parents Network. Spencer usually wakes for 2-3 hours in the late evening. If Mommy's bed is already out, he loves to play on it! We attended a birthday party for the Fat Bottom Babies baby. Things got ugly when it was time to go; a sign the party was too much fun. I love the group hug picture!